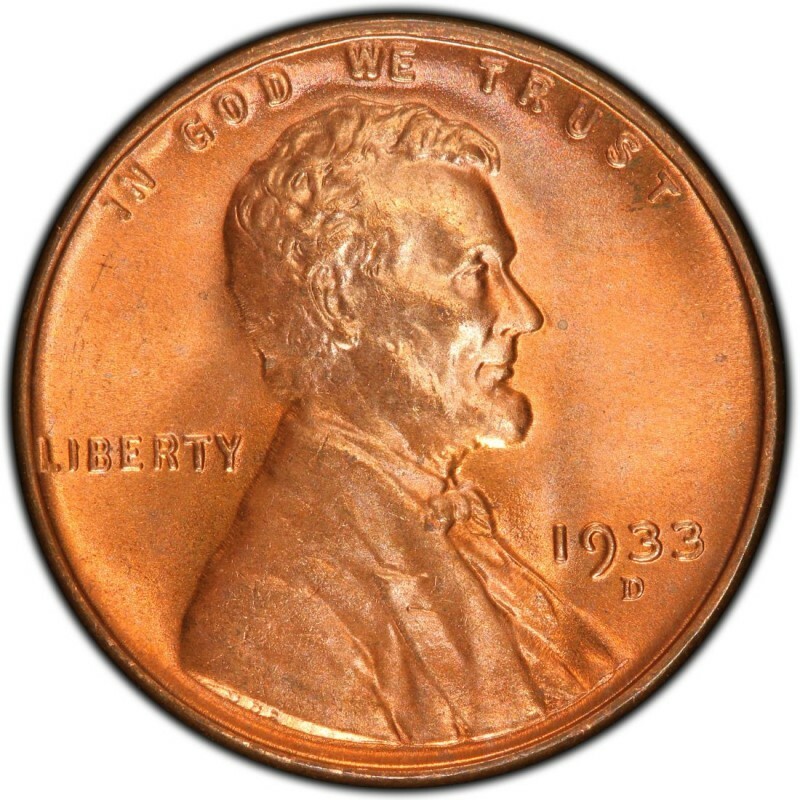 In 1933, Lincoln Wheat Penny coins saw similar production numbers to Lincoln Pennies from 1932, with a little north of 20 million Pennies produced that year. With the Great Depression plunging America into the depths of an unemployment scene not experienced before or since, 1933 was a terrible year economically and the demand for coins simply wasn’t there like it had been in previous years. If the situation was bad for the Penny then it was even worse for coins of other denominations. 1931, 1932, and 1933 each marked a time when at least one non-gold denomination was not struck at all. 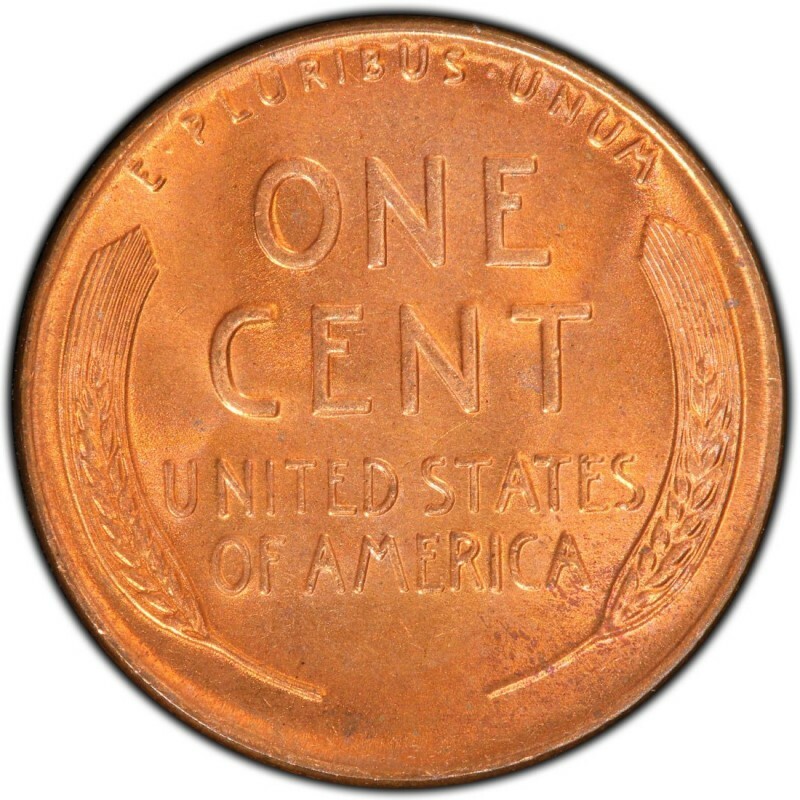 The only two noted varieties for Lincoln Wheat Penny coins in 1933 were the Philadelphia Mint and Denver Mint issues; there are no major varieties of other kinds for Pennies minted in 1933, though the two regular-strike varieties definitely keep many Penny collectors busy, especially when searching for decent specimens of either coin in the uncirculated grades. Brilliant uncirculated pieces exist, though it may take some searching to find just the right coins for your collection. The 1933 Penny has a higher mintage than the 1933-D, at 14,360,000 versus 6,200,000, and this mintage disparity between the two mints usually means you’ll have fewer options when looking for a 1933-D than a 1933 Lincoln Penny. Be choosy, and look only for uncirculated pieces that show nice, even brown or red toning and no spots. $30 will be enough to help you enter the uncirculated grade realm for 1933 Pennies, while less than $3 is usually sufficient for buying either a 1933 or 1933-D in the lower circulated grades.